More Football, more injuries. The most critical games of the year have arrived, and whether you're an emotional fantasy owner or the emotionless Jim Caldwell, you want to be kept up to speed on the latest knicks and knocks throughout the league -- particularly as they pertain to your team. We'll round up all of the latest injury news and updates as week 14 arrives. 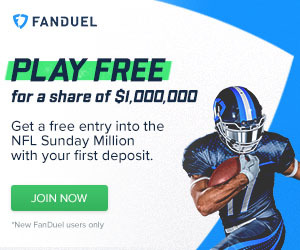 The playoffs are within touching distance, so keep those eyes on the waiver wire if you need to bolster your roster ahead of the big games. Here is your week 14 fantasy football injury report. 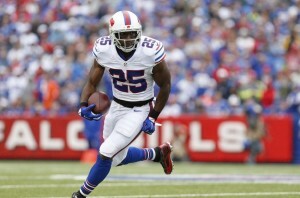 - LeSean McCoy left the Bills' week 14 game against Houston with a head injury, though he was able to return. Shady exited in the second half and went straight into the protocol, but quickly cleared his way through. A rather big sigh of relief can be heard and felt all the way from Buffalo. McCoy's fellow RB Karlos Williams (shoulder) missed week 13, but will hope to return in week 14. - The Cardinals were without RBs Andre Ellington (foot) and Chris Johnson (leg) in week 13. Ellington is facing difficult odds of making it back onto the field in week 14 as Arizona faces Minnesota on Thursday night. Meanwhile, Johnson looks like his season could be done, barring a Super Bowl run. He was placed on the injured/designated to return list earlier this week, and regardelss of his team's destiny, the veteran is facing a multi-week absence. David Johnson, Stepfan Taylor, and Kerwynn Williams will form a committee while Ellington and Johnson miss out. Taylor suffered a shoulder injury in week 13, though it did not appear to be very serious in nature. - The Falcons will be without WR Leonard Hankerson (hamstring) for the rest of the season after placing him on injured reserve. Devin Hester replaces him on the depth chart. LeSean McCoy was able to return to Buffalo's week 13 game after a brief injury scare. - The injury-riddled Ravens hope to get WR Marlon Brown (back) and TE Maxx Williams (concussion) back in time for week 14. Both players missed week 13 and should be considered day-to-day. - The Bears were without wideouts Marquess Wilson (foot) and Eddie Royal (knee) in week 13. Both players should be closer to returning ahead of week 14. - Browns wideout Travis Benjamin left his team's week 13 game with a shoulder injury and did not return. Benjamin was targeted twice with no catches before leaving the game. Both Andrew Hawkins and Taylor Gabriel missed the game with concussions, leaving Brian Hartline and Dwayne Bowe to man the receiver spots. QB Josh McCown's collarbone injury will cost him the rest of the season. Austin Davis started in week 13, and it will be interesting to see if Cleveland entertains the thought of going back to Johnny Manziel under center. It's also possible that Terrelle Pryor could be activated as insurance at both QB and WR. - The Bengals were without TE Tyler Eifert (back) in week 13. Eifert is expected to be in line to practice ahead of week 14. He is dealing with a pinched nerve. - 49ers TE Vance McDonald (concussion) left his team's week 13 game at Chicago and went into the head injury protocol. He should be considered day-to-day. - Chargers wideout Stevie Johnson left his team's week 13 loss to Denver with a groin injury. This is not the first time this season that Stevie has had a groin injury, so his status for week 14 looks iffy at this point. The Bolts are already without top receiver Keenan Allen (kidney) for the season, while Malcom Floyd has been playing through a shoulder injury. Dontrelle Inman left the game with a neck injury, though tests came back negative and there is hope the youngster will be ready to play in week 14. - Broncos QB Peyton Manning had the cast removed from his injured foot on Wednesday, but it remains unclear as to when he will be able to return. Brock Osweiler is likely to remain the starter for the remainder of the regular season, and it is unclear if Manning will be healthy enough to play in the postseason. Stay tuned. C.J. Anderson left the Broncos' week 13 win with an ankle injury but downplayed it as minor after the game. Vernon Davis exited with a concussion and did not return. - The Colts are hoping to get Andrew Luck (kidney, abdomen) back in time for week 15. Indy has done well with Matt Hasselbeck at the helm, but Luck's return will be a timely and welcome gift ahead of the holidays. - Rams TE Lance Kendricks suffered a concussion in week 13. He will be spending the next week in the league's protocol for head injuries. - Jacksonville lost WR Rashad Greene (shoulder) in week 13. Greene exited the game and did not return. He hauled in a touchdown reception before going down. Meanwhile, RB Toby Gerhart (groin) is done for the year. He was placed on season-ending injured reserve and will undergo sports hernia surgery. Allen Hurns (concussion) should have a better chance to play in week 14 if he can clear the final hurdles of the protocol. - Dolphins WR Rishard Matthews (ribs) missed week 13 and is uncertain for week 14 and beyond. Matthews was injured in week 12, and is reportedly facing a multi-week absence. 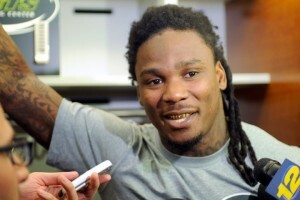 Chris Johnson may miss the rest of the season with a knee injury. - Rob Gronkowski remains a question mark for week 14 in New England due to his knee injury. If Gronk does not play, Scott Chandler remains a plug-and-play TE1. The Patriots have lost two straight, and could use Gronk's presence, but early reports suggest that New England does not expect him back until week 15 at the earliest. WR Danny Amendola (knee) was able to play in week 13. - Saints wideout Willie Snead (calf) did not play in week 13. Snead should be considered week-to-week and, if he can not play, the likes of Brandon Coleman and Marques Colston will see more targets from Drew Brees. - Eagles RB Ryan Mathews remains out with a concussion. Mathews has missed Philly's last 3 games, but the team is hopeful that he will be able to return in week 14 to provide some balance to the backfield. - RB Taiwan Jones missed Oakland's week 13 game with a knee injury. Jones has a PCL sprain and should be considered week-to-week. - Heath Miller (ribs) missed Pittsburgh's week 13 game with Indianapolis. Jesse James took his spot in the lineup. Miller's chances of playing in week 14 should be much greater after a week of rest. - In IDP territory, Bills CB Stephon Gilmore (shoulder) and Saints CB Delvin Breaux (hamstring) left their teams' games and did not return. The Vikings and Cardinals will release their first injury reports on Tuesday, with the rest of the league following suit on Wednesday. Good luck in week 14.